The Dolphin CT60 mobile computer, with the Mobility Edge platform, enables customers to accelerate provisioning, certification, and deployment across the enterprise. 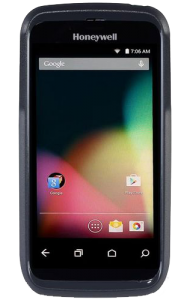 The Dolphin CT60 mobile computer offers an extended product lifecycle across five generations of Android™ to maximize return on customer investment and provide a lower TCO. And it’s validated by Android Enterprise Recommended, a Google-led initiative that helps businesses confidently select, deploy, and manage the Android devices and services best suited to their enterprise needs.